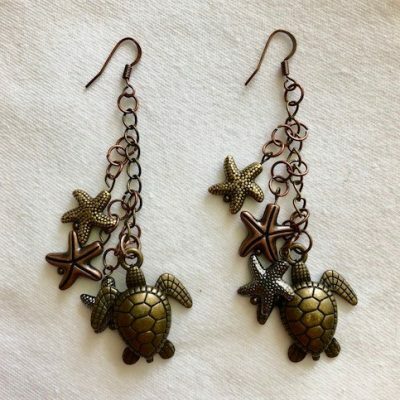 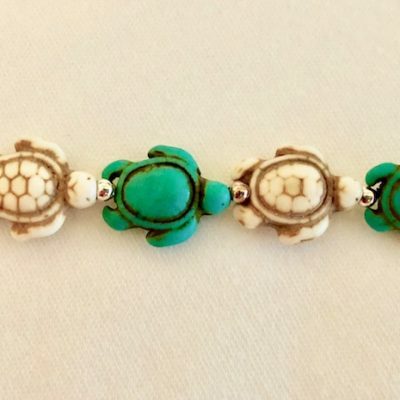 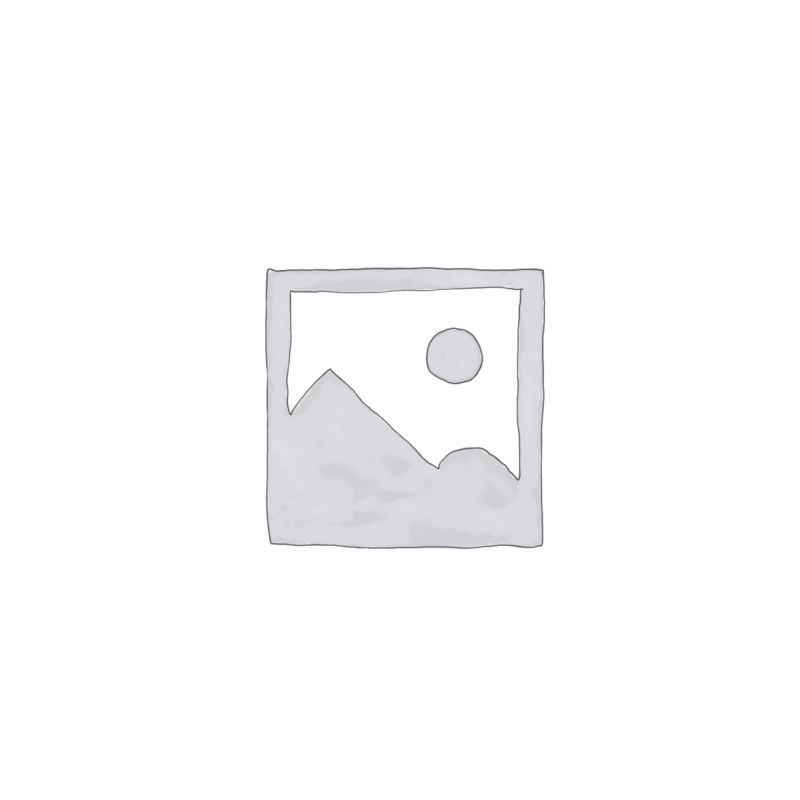 If you love the beach and ocean as much as I do, you’ll be smitten with these bracelets that are made with adorable sea turtles. 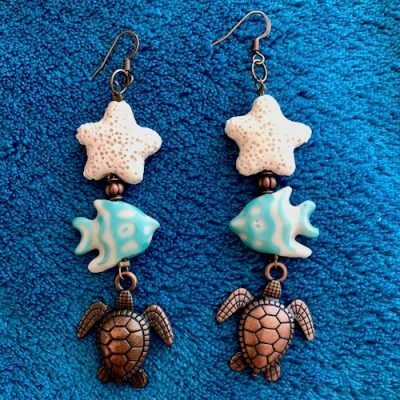 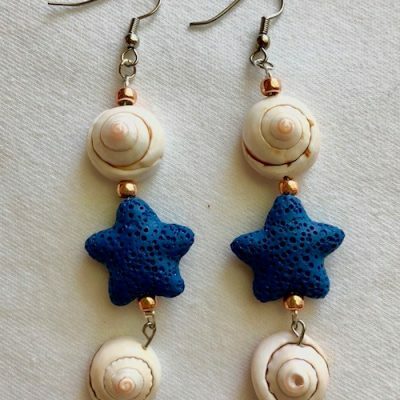 A perfect way to show your love for these sea creatures! 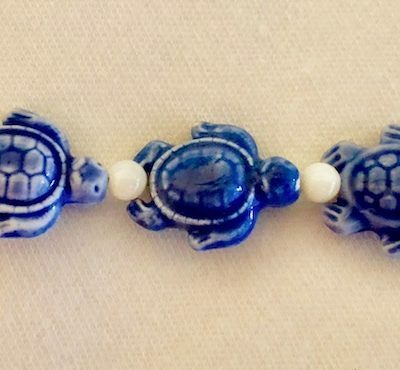 If you love Kate’s misadventures in the “Camping in High Heels” series, you’ll love these bracelets! 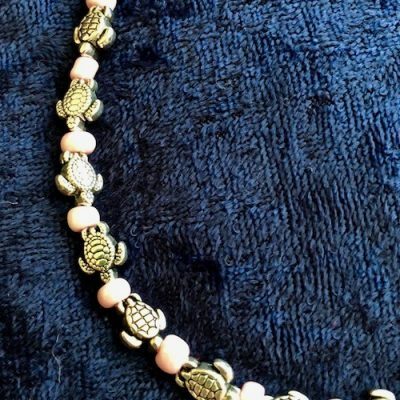 Made with various beads with a lobster clasp and extender chain. 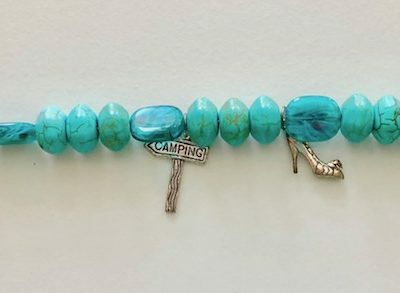 Each bracelet has two charms: a “Camping” sign and a “High Heel” – the best way to describe and remember Kate’s camping fun.